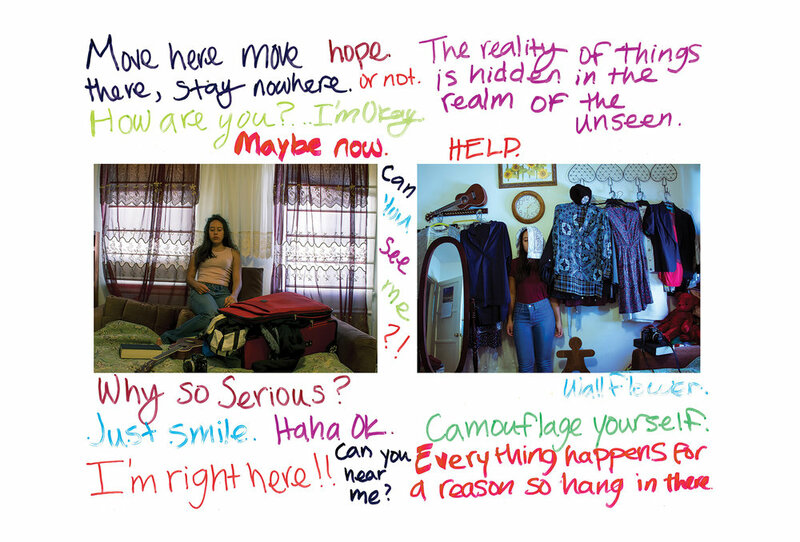 En Visión: Picturing the Self is a collaborative exhibition between MOLAA and Las Fotos Project, a community-based mentorship program that educates and inspires teenage girls through photography. The exhibition highlights the work of women who use the dynamic medium of photography to share and document their realities, engage in cultural commentary and express their evolving identities. Curated by Nalini Elias, En Visión: Picturing the Self is an interactive exhibition featuring selected works from MOLAA’s Permanent Collection in dialogue with photographs by students of Las Fotos Project. It invites the viewer to question the difference between being subjects and observers, and to reflect upon their own choices of self-expression. Las Fotos Project, a community-based nonprofit organization that inspires teenage girls through photography, mentorship and self-expression. Las Fotos Project provides girls with access to professional cameras, quality instruction and workshops that encourage them to explore their identity, learn about new cultures, build leadership and advocacy skills, and strengthen their social and emotional well-being. Las Fotos Project students are teenage girls between the ages of 11-18, from low to middle-income households living in communities of color, who do not have access to photography equipment or art-based programs. Students are referred to Las Fotos Project by their partners and are identified by having an interest in photography or likely benefiting from their programs. To learn more about Las Fotos Project please visit www.lasfotosproject.org.